I just wanted to take a moment to thank you and your organization for making my transition to your shopping cart as smooth and painless as possible. Throughout the entire process you were more than helpful, even taking your time to do all the setup on my cart for me. All I had to do was use the extremely intuitive HTML form wizard to create the code to put on my site. In addition you were a tremendous help getting my new merchant account set-up and I thank you for that as well. I just need to say that I have found changing to 1greatshoppingcart.com to be a very smooth transition handled by very knowledgeable, extremely professional people like yourself all along the way. I have spent many hours looking for a good shopping cart for a reasonable price. After researching online for a long time I had decided to try 1GreatShoppingCart.com. I had no problems with working the shopping cart into my website. The shopping cart came together with no problems at all and the great customer services that I have received is the best I have every had. At first I had thought that being a Canadian and having Canadian currency shopping cart would become a problem but there was no issue to worry about. I would recommend 1GreatShoppingCart.com to all web masters because of the general great services and a excellent working shopping cart. We’ve just renewed our agreement with you for our shopping cart services for another year and just wanted to say what a pleasure it continues to be working with your organization! This was our first experience with creating a web based business so we really were pretty ignorant and very overwhelmed when it came to figuring everything out but our account manager helped us every step of the way! Any time we had a problem he was quick with a response and a solution! In this day of rapidly declining levels of customer service it’s refreshing to feel valued as a customer again! So thank you for helping to make our web based such a success! We’re looking forward to another great year and feel very confident that our business needs will be meet every step of the way! I searched a long time to find a way to offer affordable shopping cart services to my web page clients and luckily I found a superior system! Most companies offered a good service, but it was expensive. 1GreatShoppingCart.com offered all the services I needed in one place, and with their excellent support & technicians, they made it as easy as it could have been! Setting up a successful merchant web site can be an extremely frustrating experience, especially if you are learning as you go. After 8 months on the web, we decided to give our site a new look with an e-commerce shopping cart. During our search, 1GreatShoppingCart.com kept coming up. We searched and compared services for two weeks before deciding on the 1GreatShoppingCart.com solution. Their very capable staff guided us through every step. Thanks to their efforts we have a new shopping cart system that includes everything we wanted! Our business increased from day one and equally important, our profitability increased 20% due to the decrease in fees. To say that we are pleased is an understatement! Their professionalism, patience and understanding is extraordinary. We are looking at adding two or three web sites and anticipate using their services completely, after all where else can you find an organization that can provide you the complete turn-key solutions that 1GreatShoppingCart.com can? We have 4 accounts with you now. Great service, that’s why we keep coming back! In the seven years we have been working with your company, we have had a few bumps in the road but they have always been taken care of, and taken care of quickly. You have always been a great to work with and you can use us as a reference anytime. Awesome, simply fantastic. We love it. You guys did a great job. I can’t say enough. You’ve really helped us to simplify our shopping cart and the whole site really. I ran through all links and pages. It loads up faster than it did before. I am recommending everyone I know who has a web site to look at ours to see how easy it is to use the shopping cart. After several years looking for a good shopping cart application, I can finally say that I’ve found a reliable source that I’m very pleased with. I’ve tried other companies that insist that you build the cart online, but 1GreatShoppingCart.com is different. 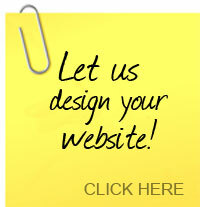 They have certainly made my life easier as a web developer. Knowing I can design my websites as I wish, and easily copy the html coding into each product, has been wonderful and amazingly fast. Also finding a company that is quick to respond to my questions and my set-up time frames has also been very rewarding. They have always been prompt in set-ups and available to answer questions. The price is also very reasonable. I would recommend this system to anyone! Barbara C. Taden- President-WebFoot Designs, Inc. I am a webmaster who found 1GreatShoppingCart.com while searching the internet for a site to host an online store. The idea of a secure shopping cart on my catalog page was much more desirable. The services offered by 1GreatShoppingCart.com seemed almost too good to be true, but I sent an e-mail asking for clarification and information anyway. They responded to my e-mail with a phone call within 5-minutes. A short time after our conversation I signed my client up for the service. I have had no regrets or unpleasant surprises. I have had opportunities to request additional help from customer service and have always received helpful courteous responses in a timely manner. The staff that I have dealt with are willing and able to communicate with me at any technical level. I would recommend 1GreatShoppingCart.com to anyone, and I plan to bring my other clients here as well. Thank you 1GreatShoppingCart.com for the positive experience. I look forward to future business with you. In the past, if a customer asked for E-commerce in a website, I would panic and call a source that I knew could handle that type of site. I lost money because I had to farm out the job. Now with 1GreatShoppingCart.com, I can do it myself. This is “Sandbox 101?. Simple, easy and straight forward. No smoke & mirrors or magic tricks. It just works. The support is quick and accurate. What more can I say. Try it, you’ll like it! Once my shopping cart was setup, I was up and running with easy to use HTML Form Wizard and I got my first order within 2 hours. We just wanted to drop a note to say how happy we are with our shopping cart. After two years working with your cart, the service and reliability of the program is excellent. And the price is the best we found. We have everything we need and it is so easy to operate and understand. We have been very successful in our business and feel that this shopping cart is part of our success.